Easy slopes lead ENE from the bealach, that connects to Craig Pitridh, up a broad ridge to the summit of Geal Charn, and these easy slopes continue SE towards Loch Pattack. 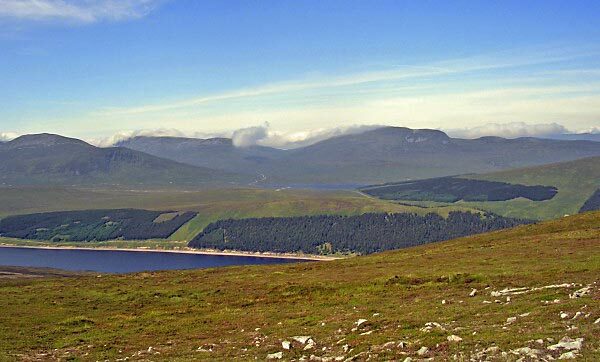 These provide the two usual ascent routes, utilising the path from Loch Pattack to Loch Earba. 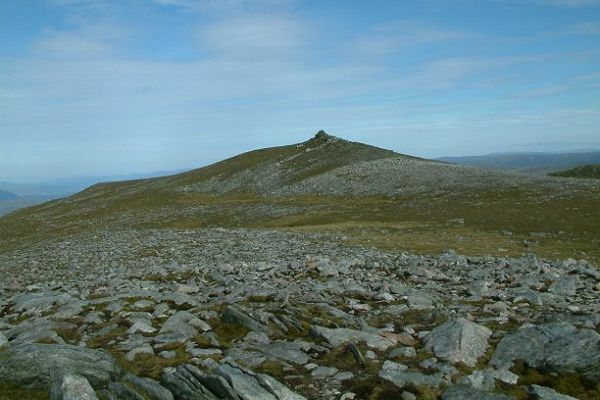 The N face of Geal Charn has two ridges forming a corrie with craggy slopes. 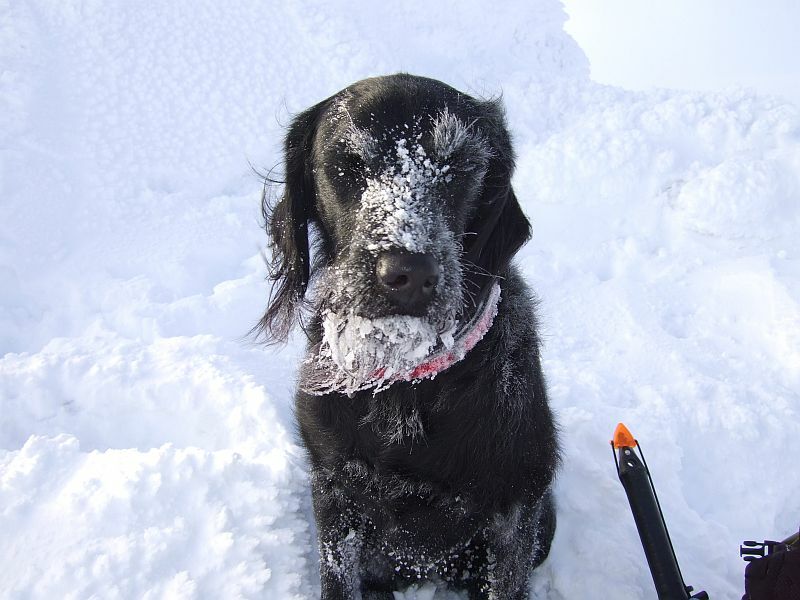 There are also some steep and craggy areas on the lower slopes to be avoided. 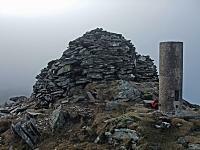 The stoney summit of Geal Charn (Loch Laggan) with the beautifully built cairn and trig point. 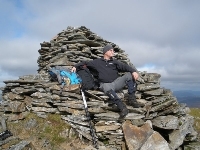 The summary information of one or more ascent routes that include Geal Charn [Loch Laggan]. 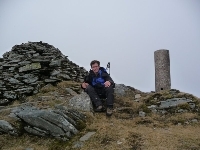 1 1017 m 20.90 km 6 hrs Geal Charn [Loch Laggan] and Creag Pitridh A relatively easy route with good approach tracks/paths, there are some crags but they can generally be avoided. I'll admit I was feeling a wee bit guilty by the time we got to the summit, but Jorja didn't seem to be feeling the cold. Honest. Geal Charn, 27/11/10. 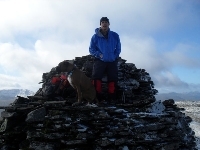 Oscar and myself on summit,(4/10/09). Post a few words about Geal Charn [Loch Laggan] or read what others have had to say. A prodigious walk in, much longer than you claim (our GPS reported the round trip described above as 16 miles!) 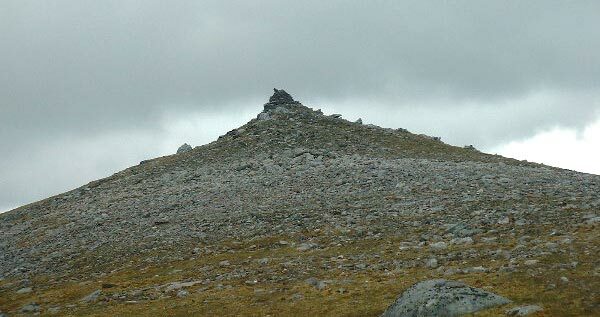 The summit of Geal Charn seemed elusive, four false tops then the cairn at the far end of course. But the walk to Creag Pitridh was very pleasant and a deceptively short climb with great views.